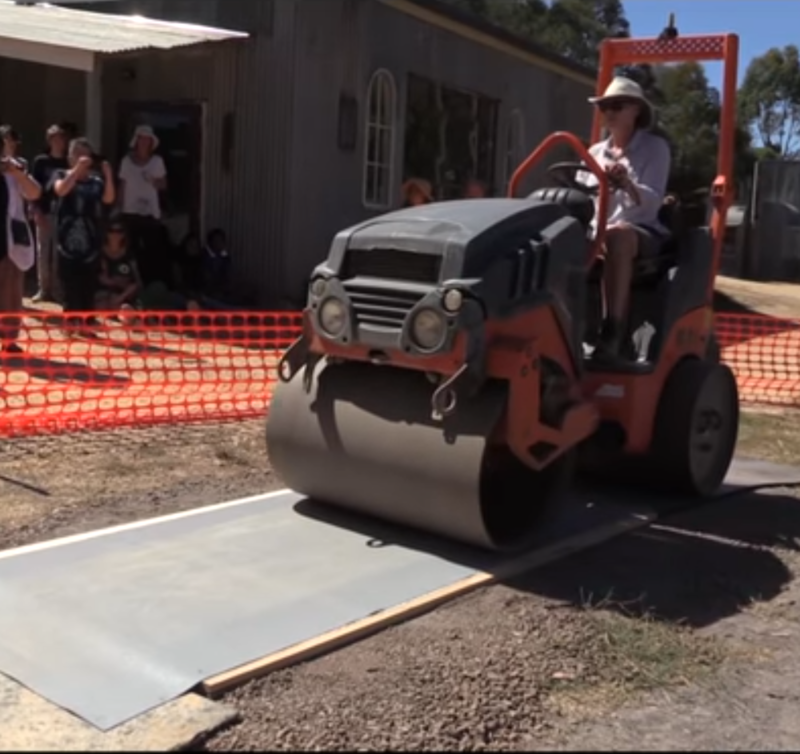 Castlemaine Press members and community visitors use a steamroller to do the big press at the last Castlemaine State Festival in 2017 – this year is expected to be even bigger. Imprint: What is the premise for the Steamroller event and how have you been working towards it? Melissa Proposch: Full Steam Ahead 2019! Is our second steamroller printmaking event. Our first one was held during the last Castlemaine State Festival in 2017 and it was so popular with the community and our members that we are running it again. It’s a kind of heavy duty printmaking theatre using a big industrial machine that isn’t normally associated with fine art prints. People enjoy the performative nature of it. There’s lots of applause as the printed works are revealed. It’s also something the community can be very involved in. Community members make small linocuts that are then printed together as a collaborative print. 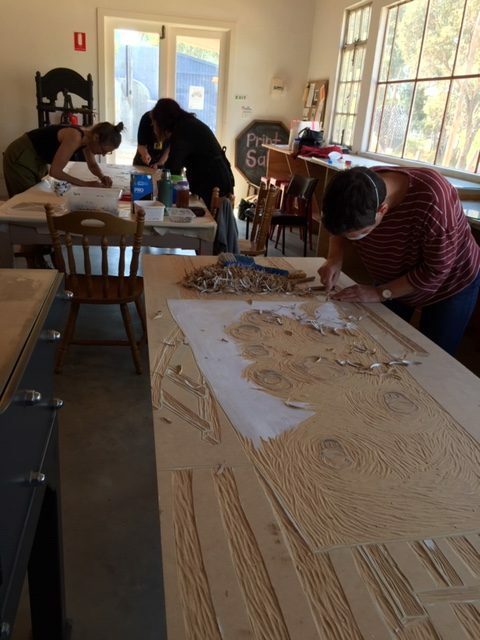 Press members also make large wood or linocut works – larger than most large presses can print – and so people can see very large prints made. It takes a lot of background coordination by the Castlemaine Press committee and our community to be ready for the weekend. There’s the gathering of all the necessary components and materials, promoting the event across our networks and media platforms, engaging with our members, organising documentation, and making sure that we have taken into account community safety. 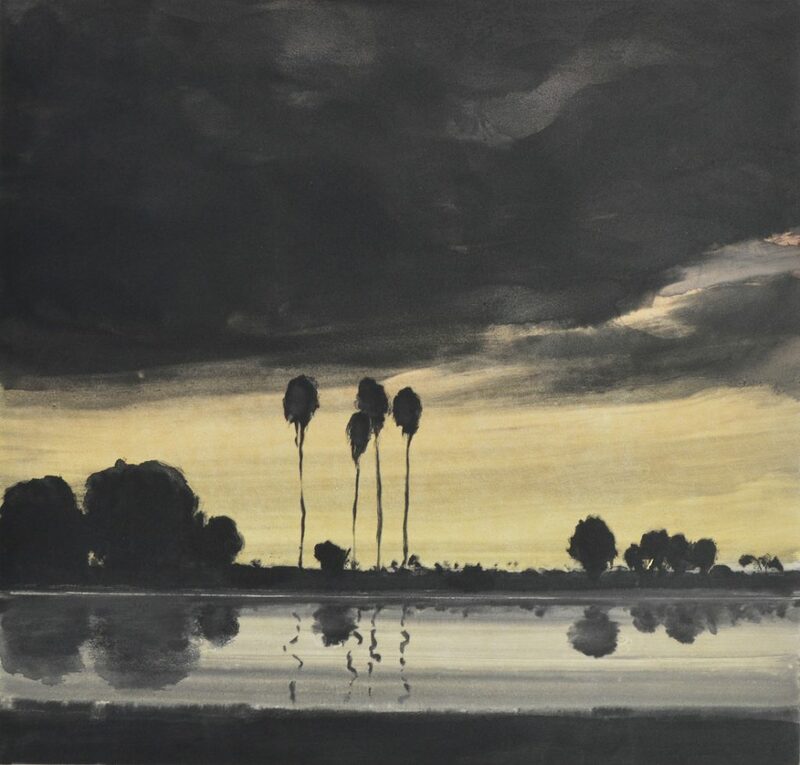 We are lucky to be part of the Lot 19 community of artists and their enthusiasm and contributions are also very valuable. As its an outdoor event, we’re reliant on good weather so its always fingers crossed in that regard. Imprint: Can you give us an overview of how the project is expected to proceed, what people are likely to experience and learn? 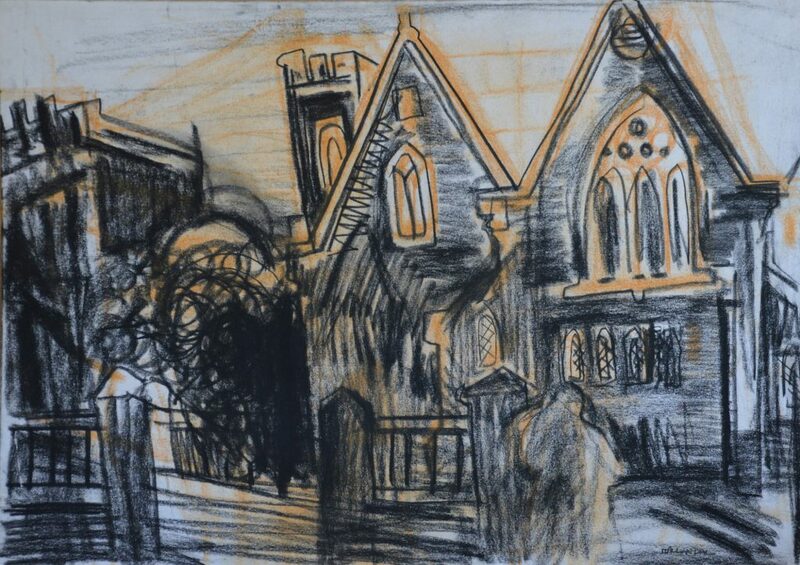 MP: On Saturday community members come along to make small linocuts in the studio, supervised by experienced Castlemaine Press member printmakers. In 2017 there was a constant stream of people of all ages and backgrounds – so we are hoping for the same again this year. As the event is part of the first weekend of the Castlemaine State Festival the art interested public are very much out and about. It costs $5 to make a community linocut, with all materials supplied. Castlemaine Press members meanwhile have finished or are finishing off their large prints. Members can make a large print for $35, with the artist providing the plate and the Press supplying all other materials. Then on Sunday we print them. There’s lots and lots of relief print rolling up in the studio – both of the community prints and large member prints. Members of the public are able to watch the process up close and then of course we start up the steamroller. It free to view both days so people are very welcome to join us as audience members. The steamroller prints outside. It’s quite rudimentary really. We lay and flatten a section of road base gravel, put a large board on top and use a large piece of lino in lieu of a blanket to spread the pressure of the roller across the plates. We print on both paper and cloth. Like a lot of printmaking there is always an element of experimentation and problem solving involved. Imprint: Community involvement is obviously a big aspect – why? MP: Castlemaine Press is a not-for-profit, artist run, membership-based community access printmaking studio that opened in 2015, and we wouldn’t be here without community support. 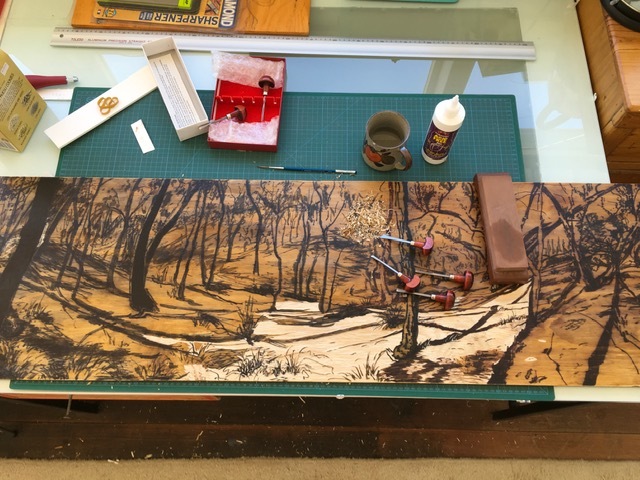 For example, our large etching press (1 metre x 2 metres) was purchased with funds raised by the community at a print auction at the Castlemaine Art Museum, with local real estate agency Cantwell as auctioneer. It was purpose built by Chewton press maker Melarue (now associated with Equinox printmaking) before we opened. So, as the centrepiece of the studio, the press is both community owned and locally made! The steamroller we use is loaned to us by a local community member. 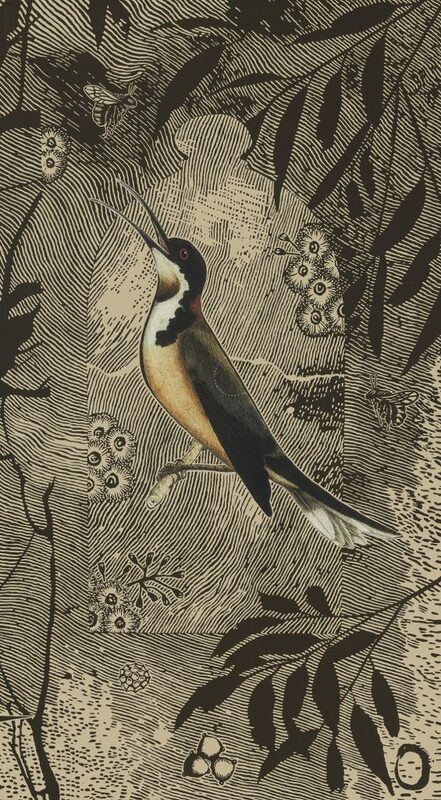 Many generous contributions from the community go into building and sustaining Castlemaine Press each year and we are blessed with a large number of emerging and established printmakers locally. So there is a lot of support here for a community printmaking space and program. There is an incredible buzz at the Press over the Full Steam Ahead! weekend and it’s a time when the community come in and really own and enjoy the community access side of we what we do here. On top of that, Lot19 (the arts space where Castlemaine Press is based) has a full program of events scheduled for festival time, so there’ll be a great feeling about the place. We appreciate the relationships that come from being part of a regional and highly creative community. Full Steam Ahead! is one way we show our appreciation. Imprint: What other projects does Castlemaine Press have in the works? Throughout the year we run a series of printmaking workshops, an international print exchange, artist talks and studio visits, fundraising dinners and more. After Full Steam Ahead! we’ll be releasing our program for the rest of the year – that’s after we take a brief rest – it’s a very physical weekend for our committee members and volunteers! Melissa Proposch is Vice Chair Castlemaine Press and lead artist in Full Steam Ahead! SATURDAY 23 MARCH 12 NOON – 4PM: COMMUNITY PLATE MAKING Create a relief print to be printed as part of a large steamroller print on Sunday Cost $5 – All Welcome! Create a large relief plate to be printed by steamroller Maximum plate size: 200cm x 80cm Cost $35 – includes all materials except plate Register now at castlemainepress@gmail.com – NUMBERS LIMITED!